If you happen to be seeking a residence in an idyllic spot as close to paradise as possible, a beachfront condo in Sarasota is the place to look. The Sarasota barrier islands boast 35 miles of pristine white sand edging the azure blue Gulf of Mexico waters. 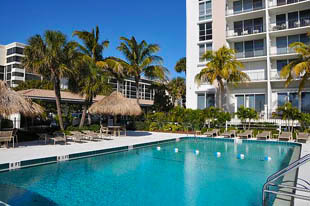 Some of the most desirable Florida condos for sale are found resting on these keys. A lifestyle on the beach is viewing glorious gulf sunsets and experiencing the many other ways to relax. Every possible lifestyle, real estate type, or recreational activity you could dream of can be found in Sarasota. The benefits of owning beachfront condos for sale in Sarasota is the ability to experience home pleasures without the upkeep responsibility. You don’t have to be concerned with finding the correct landscaper or gardener, mowing lawns or trimming hedges, repairing the roof, painting the facade of the complex, etc. The homeowners association fees remitted by the owner takes care of any maintenance expenditures for the outside areas of the structure itself along with common areas such as the lobby, hallways, fitness areas, elevators, swimming pools, landscaping and any other shared area. 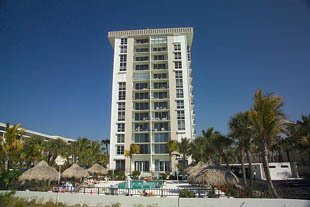 Constructed in 1974, the Lido Beach Club at 1212 Ben Franklin Drive has been one of the landmark buildings of Lido Key for many years. This 108 unit structure, located on the stunning beachfront of Lido Key, offers marvellous beach and sunsets over the gulf vistas along with dazzling panoramas of the city skyline. Boasting a swimming pool on a private beachfront, the community also features a sleek clubhouse with saunas, fitness center, and covered garage parking. The complex offers secure storage space on the ground level for every unit, a common laundry area on every story, and free high speed internet all through the structure. Owners and their guests enjoy open floor plans at the Lido Beach Club along with massive windows, generous private terraces, and exciting Gulf of Mexico or Sarasota Bay vistas. Residences are mostly 2 bedroom, 2 bath units, however, 1 and 4 bedroom units are sometimes available. Floor plan sizes typically run from 1,116 to 3,348 sq ft while price points vary from around $500,000s to the $1.6 million range depending on the residences size and location. Lido Key condos for sale are popular for buyers searching for a vacation home away from home that show that pride of ownership look in the landscaping and common areas. 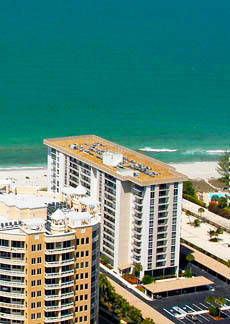 Life in a Lido Key condo includes walks on Lido Beach or thrilling strolls around St. Armands Circle. Put your bargaining hat on and explore numerous specialty shops there or enjoy fine cuisine at a trendy gourmet restaurant. Below are all of the current real estate listings available for sale at Lido Beach Club.